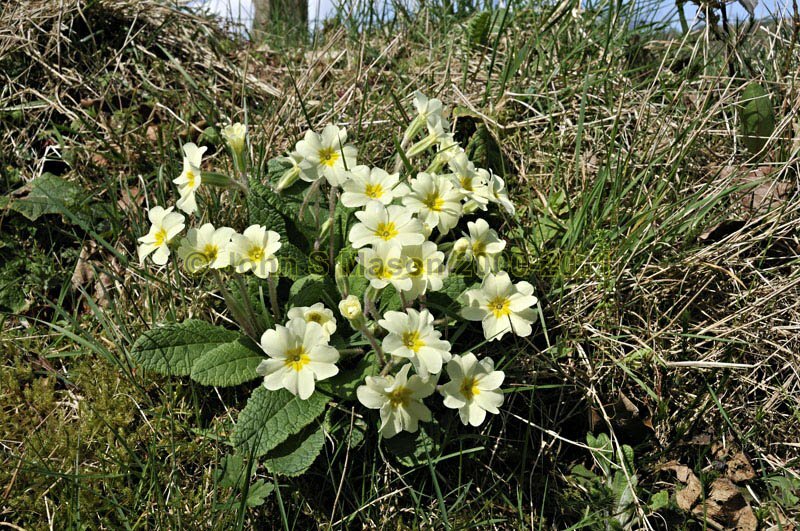 Primroses pushing straight through the dead grass of last years' end, near Pennal. Product number 040956. Email me to enquire about this image: click HERE.